Ein Zivan Tourism offers rural hosting with a selection of rooms near Bustan Hagolan and its unique summertime fruit picking experience: sweet cherry, sour cherry, raspberry, blackberry, gooseberry, Asian pear, nectarine, peach, apples of all colors, grapes, figs, and a variety of activities for the entire family. Ein Zivan is also a great starting point for excellent tours in the Galil and Golan area: The Golan Trail crosses the kibbutz, which is just a short distance from Mount Hermon, the G'ilbon River, Odem Forest, the Zavitan River, and more. From Ein Zivan you can tour Ramat Hagolan and Mount Hermon., visit Druze villages, wind along rivers and through nature reserves at the Golan Waterfalls, and take a drive to discover the Upper Galilee attractions, the reserves, the Hula Valley, and other sites. be charged 75% of the total reservation value. Kramim Family The family units are suitable for families with up to parents+4 children's. At the kitchen there is a coffee facility, a small refrigerator, microwave, electric stove, plates, glasses and silverware. If you wish to cook, it is recommended to bring your pots/pans. In addition, there are cozy sitting areas inside and outside the unit. Outside the cabin there are playground facilities for children, with tables and BBQ areas. 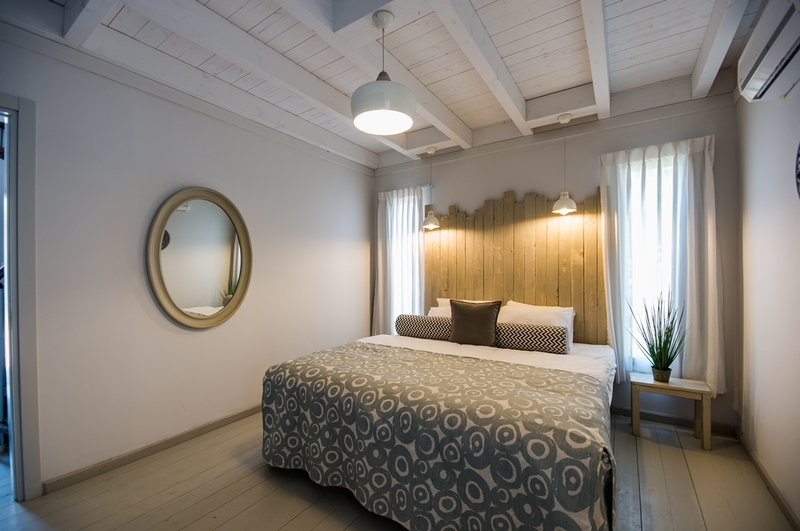 Kramim SuiteThe suites are suitable for a couple and up to 3 children. 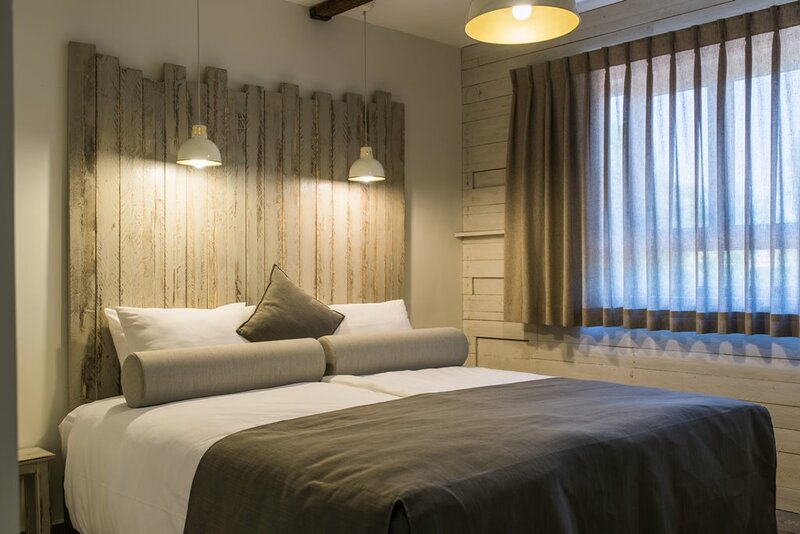 The unit includes a bedroom with a double bed and a living room with a double sofa and a single sofa bed. There is a patio with a sitting area. Inside the unit in one room with the living room is a kitchenette with a coffee corner, a small fridge, microwave, plates, glasses and cutlery. Outside the suites you will find tables and BBQ areas. 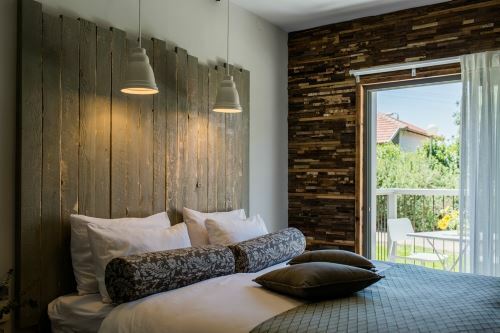 Kramim DoubleStudio rooms are suitable for couples or couple +child. At the kitchen there is a coffee facility, a small refrigerator, microwave, electric stove, plates, glasses and silverware. If you wish to cook, it is recommended to bring your pots/pans. In addition, there are cozy sitting areas inside and outside the unit. Outside the cabin there are playground facilities for children, with tables and BBQ areas. 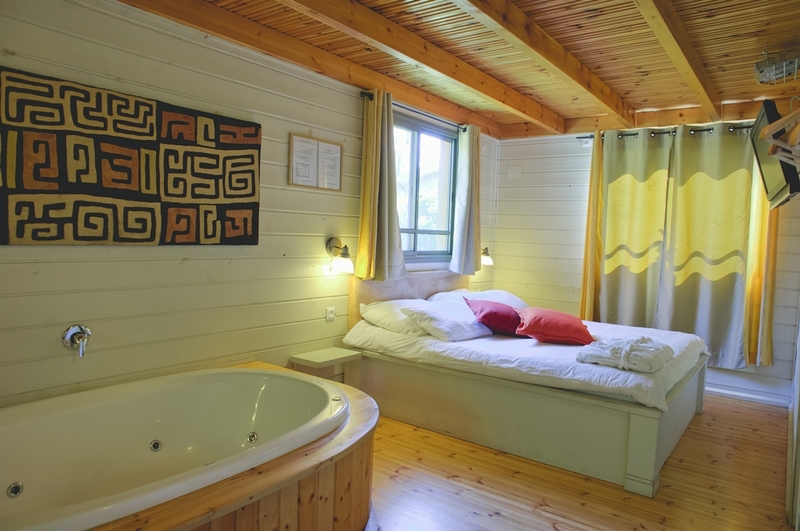 BustanThe cabins are highly suitable for families with up to four children. On the ground floor there is a wood-like fireplace, sitting and a dining area as well as a kitchen with a coffee facility and Espresso machine, a small refrigerator, a microwave, an electric stove, plates, glasses and silverware. If you wish to cook, it is recommended to bring pots and pans. In the bed room next to the living room - a double bed can be separated into two single beds, a cable TV. from the living room leading stairs to a sloping gallery with twin beds with an option for an extra bed. Outside the cabin there are playground facilities for children, with tables and BBQ areas.